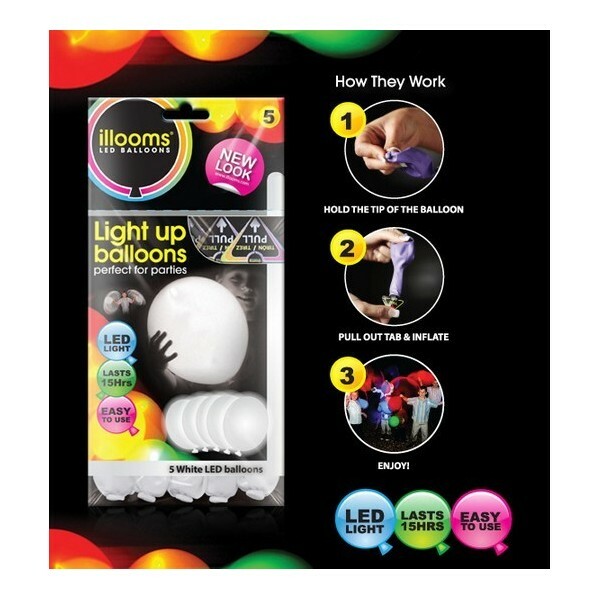 LED neon illuminated balloons light up your parties!!! 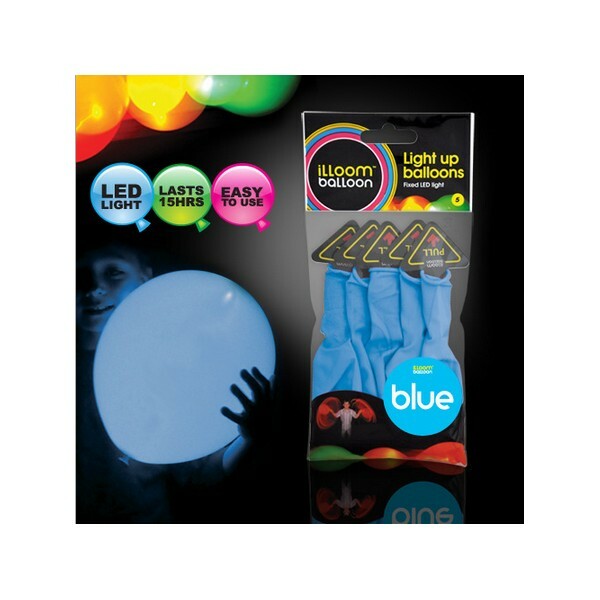 HYLB-001 is the second generation flashing LED balloon, while HYLB-002 is the fifth generation neon ballon, new arrival of 2013. 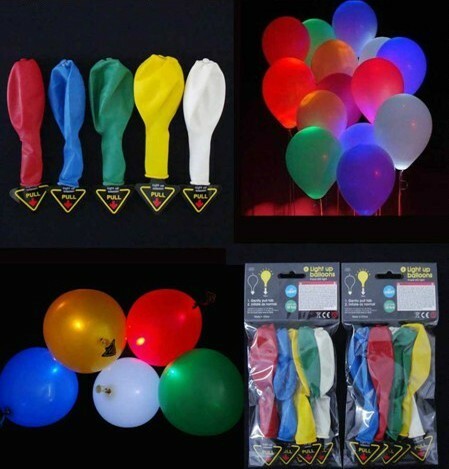 LED light up balloons assembling corner from production department. 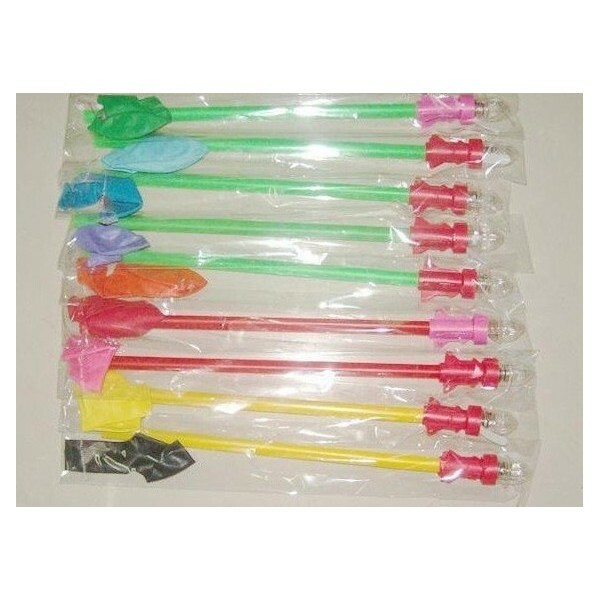 how up from balloon stick end, put cap on to avoid air out. Then turn on the switch button for led light. 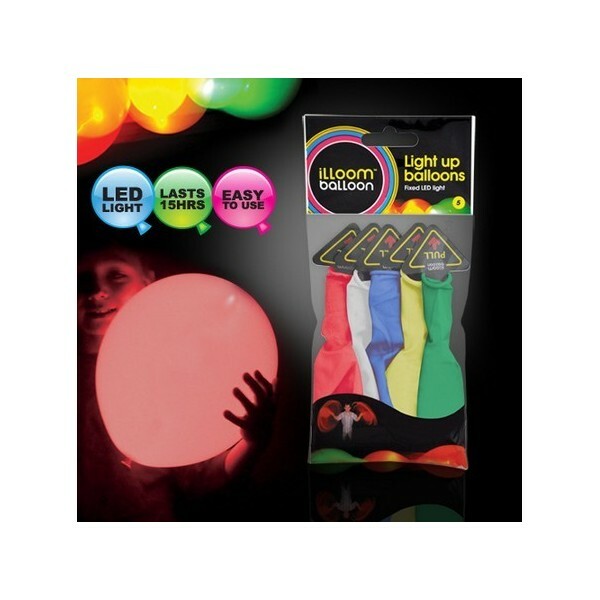 just turn the top transparent part on/off switch of the stick ,the balloon will emit light. Watch how to use video at http://u.youku.com/huayiinc. 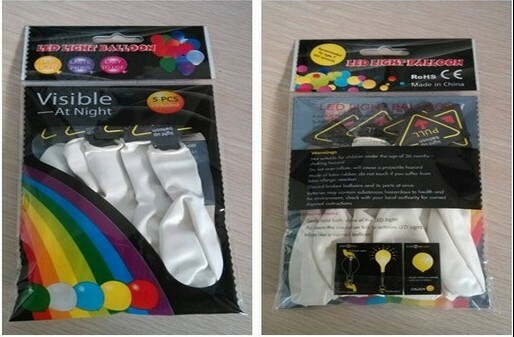 Fixed colorful illuminated LED Light: 7 color LED flashing lights. 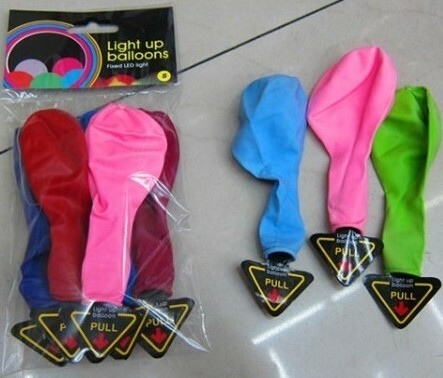 Suitable for helium, air filling. 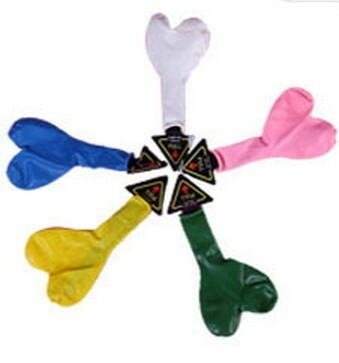 HYLB-002 inflation 12 inches or 28cm. Lasts for up to 15 hours. 1,200,000pcs could be in 1*40" HQ. 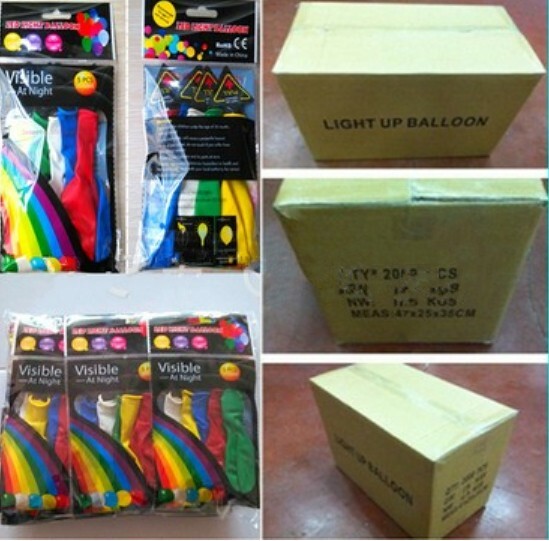 Package can be as customers' requirement, such as opp bag, color bag, display box etc. 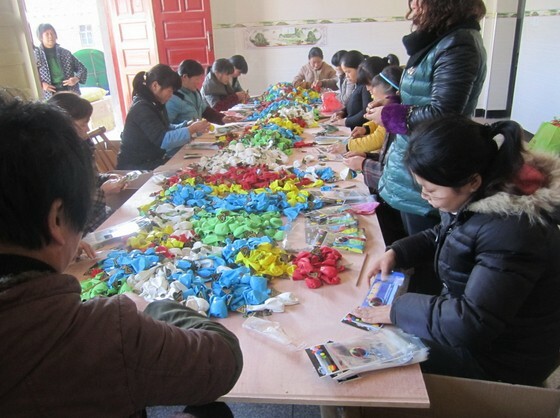 MOQ 1000pcs, send your artwork of your logo information. 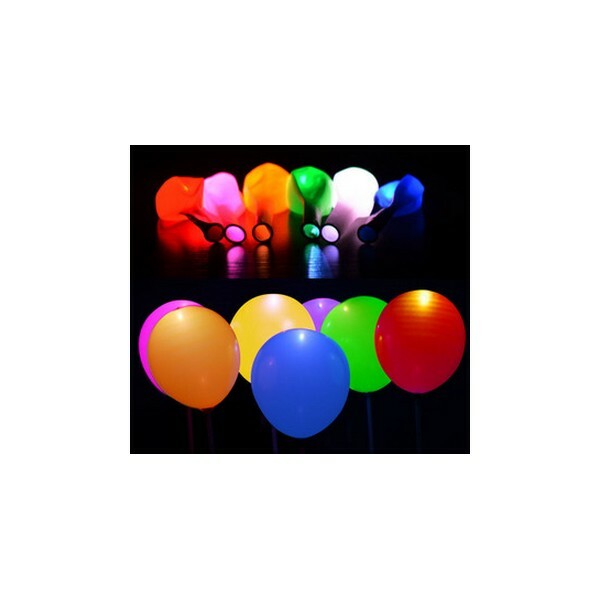 (how to print logo on latex LED balloons: inflate balloon into dia. 16cm, print on balloon surface, after ink dry, deflate air, put balloons into drier till recover their original appearance). 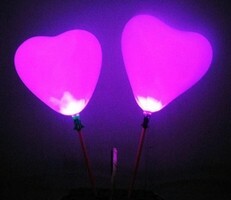 HYLB-002 with LED light fixed inside of LED balloons. 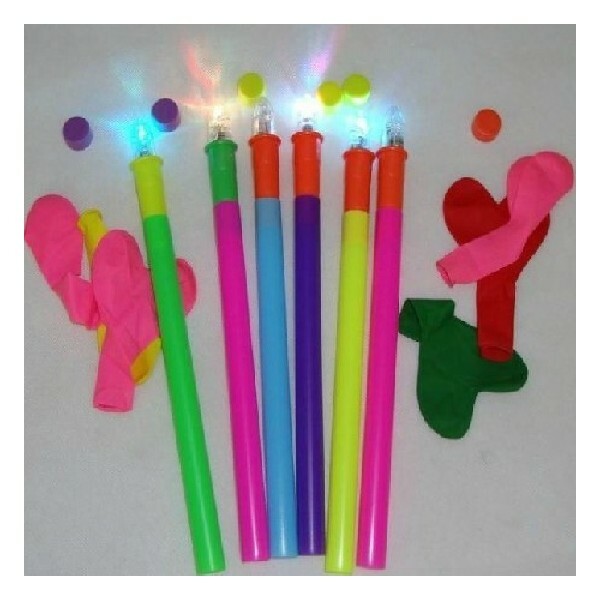 For ages over 9 and upwards. 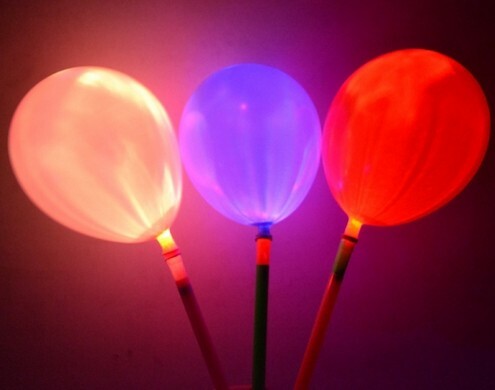 Good quality latex LED balloon can be resolved into soil after several weeks, it will not cause environmental pollution. 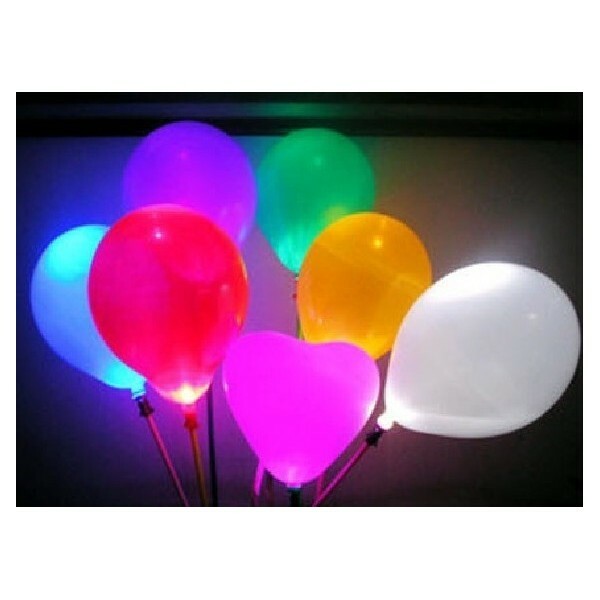 Each single color LED balloons could be sold seperately. 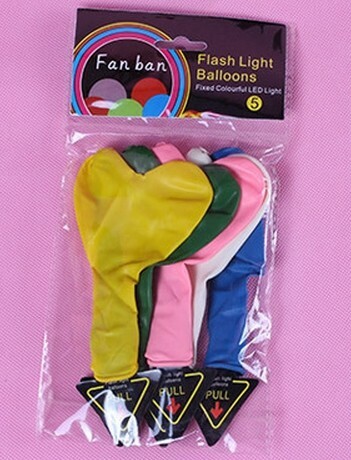 Children under 8 years can choke of suffocate on uninflated or broken balloons. 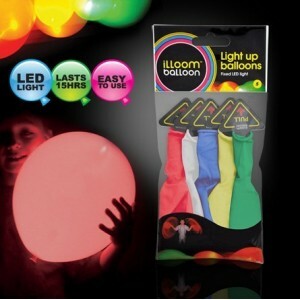 Keep uninflated balloons lumineux away from children. Do not: burst near eyes or face. item packing carton size chargeable weight G.W./N.W.